The sources of our life’s inspirations can be many and varied. And while it may be a hackneyed cliché to talk of “the book that changed my life” - it’s probably only a cliché because, for so many people, that phrase is so often rooted in very real fact. A book can change your life, or, rather, it can inform it and perhaps even go some way towards shaping or determining its direction. I have just re-read, after some twenty-or-so years, Ring of Fire by Lawrence Blair with Lorne Blair (Bantam Press, London: 1988). 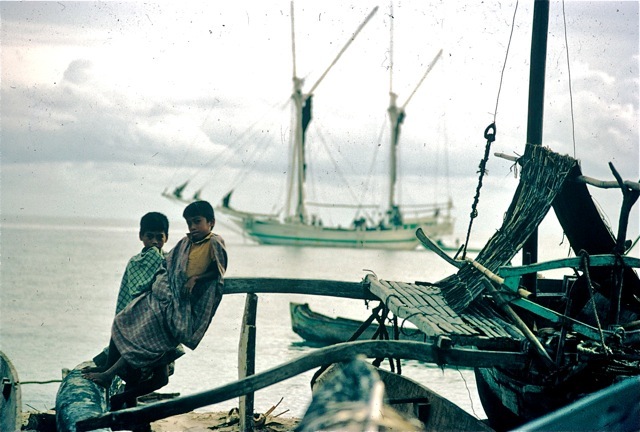 It is a book which accompanied a series of independently produced documentary films, charting a remarkable ten year odyssey around the Indonesian archipelago, which were first shown here in the UK on the BBC. I remember watching each of these episodes with awe filled admiration. I was twelve years old at the time. 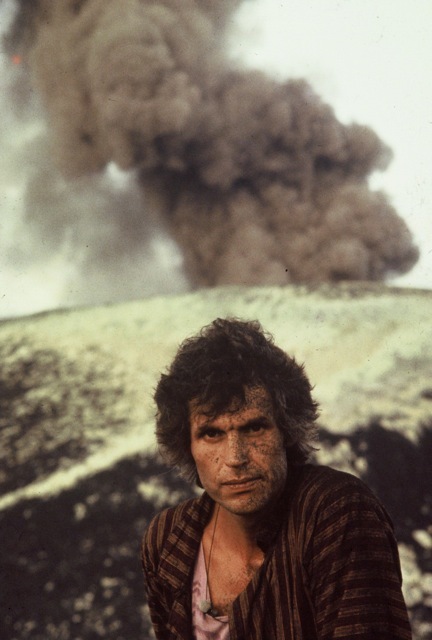 My abiding memory of these films was the simple fact that there were still wild and exotic places out there, far beyond the suburban confines of my own world, and these films left me with a yearning to see these places and have such experiences of my own. A year or two later and I watched enviously as my brother, almost a decade my senior, set off on his backpacker travels – a year long round the world trip. His letters and postcards, and even a video he shot and edited himself, which he sent back during his travels only whetted my appetite even further as I struggled on with the boring routines of my school work. My world couldn’t have felt any more removed if it tried. 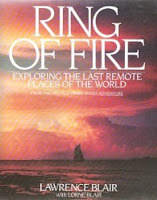 In the first chapter, Dr Lawrence Blair writes of his time pursuing his PhD studies in “the northern wastes” of England where he “sustained [himself] through the dark times with dreams of the southern islands.” Likewise, I sustained myself by losing myself in books such as Ring of Fire and the National Geographic Magazine, and I would watch whatever history, travel, and natural history programmes came on the television. Horizon, Wildlife on One, and even, The Holiday Programme. One day, I vowed, I would sail out and conquer the world for myself. It is only now that I realise what a key part this particular book has played in shaping my life towards realising this particular dream. Re-reading Ring of Fire now, after so many years, I am amazed at how many of its passages – so familiar – have been lodged so long in my psyche. Reading its pages again has been an act of fond remembrance. What I had forgotten though was how Dr Blair is such an effortlessly engaging writer. His prose style is open and familiar, yet it never wavers from absolute, informed intelligence. Like a softly sentient voice whispering at your elbow, he writes with a wonderfully whimsical kind of authority which makes for a truly accessible and amicable guide. I am sad that he has not written more; however, he remains an active filmmaker today (his brother sadly passed away in 1995), and he still lives in Bali, where the narrative of Ring of Fire ends. The book is a truly magical tale of modern day adventure. In some ways it seems rather quaint now to read of these two brothers struggling with their camera equipment and precious loads of film stock. One imagines that to repeat their journey today all this kind of kit could now be almost immeasurably reduced in size and vastly upped in terms of the quantity of footage that could be digitally recorded. 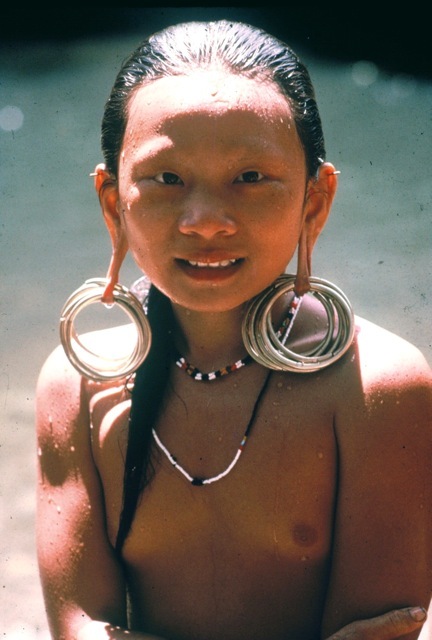 But that would be to lose sight of the original aim of their endeavour – their journey was as much of its time as it was about capturing a rapidly fading era of ritual and traditional ways of life before they changed forever. But life, as every anthropologist knows, is an ever changing flow. An evolving thread which is spun simply in its being passed from one generation to the next. Nothing remains frozen in time beyond what is captured in photographs and film canisters. 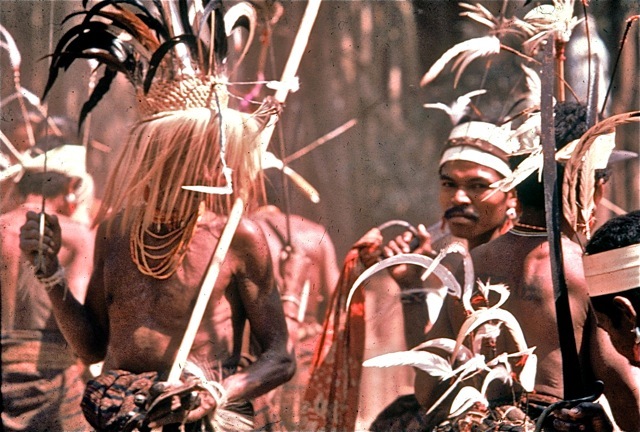 The brothers Blair were committed to their urgent race to record what they believed to be one of the last parts of the world untouched by modernity. Sailing with Bugis pirates; living naked amongst a tribe of cannibal head-hunters, who may well have been the fatal end of Michael Rockefeller; documenting the lavish festivities and rites attending the funeral of the King of the Toraja people, a tribe who believe themselves to be descended from the stars; dodging huge, hungry carnivorous komodo dragons (a stunt which stayed in my memory and compelled me to search for hours around Ho Chi Minh City Zoo once, hoping to get a glimpse of these mythical creatures for myself, but, alas in vain); trekking up jungle rivers into Borneo’s still uncharted interior only to find an enchanting lost paradise at a riverine encampment of nomadic Dyaks, who were thought to no longer exist. The intended legacy of these films and this book may well have been to record all these wonderful things – but perhaps one of the most wonderful things that Ring of Fire has captured (something which itself one wonders might well now be truly lost), could be the simple and lovable, eccentric enthusiasm of two bright young British explorers – as the last inheritors of a great tradition. Well, perhaps not the last – as the enduring popularity of the book and the film series certainly attests. Every exploration finds its inspiration in something that has gone before as the compulsion to seek something new. Ring of Fire was undoubtedly a significant part of my inspiration.